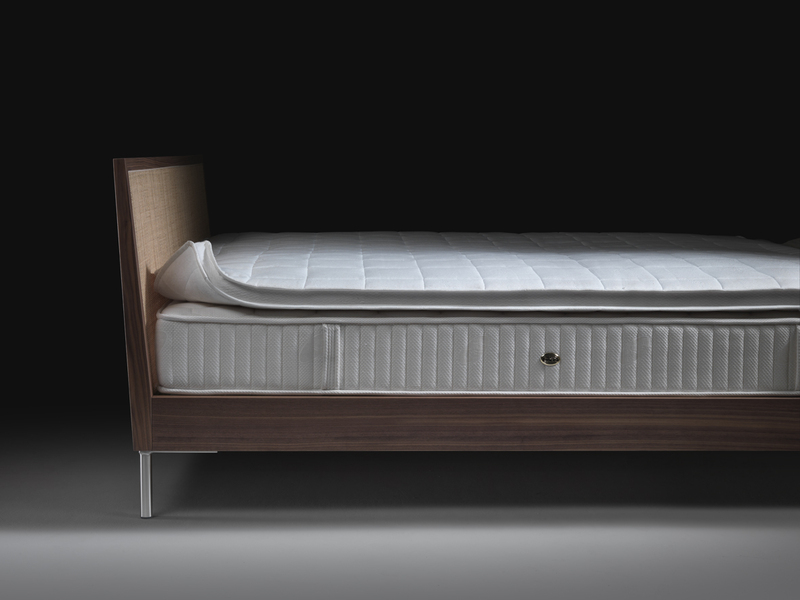 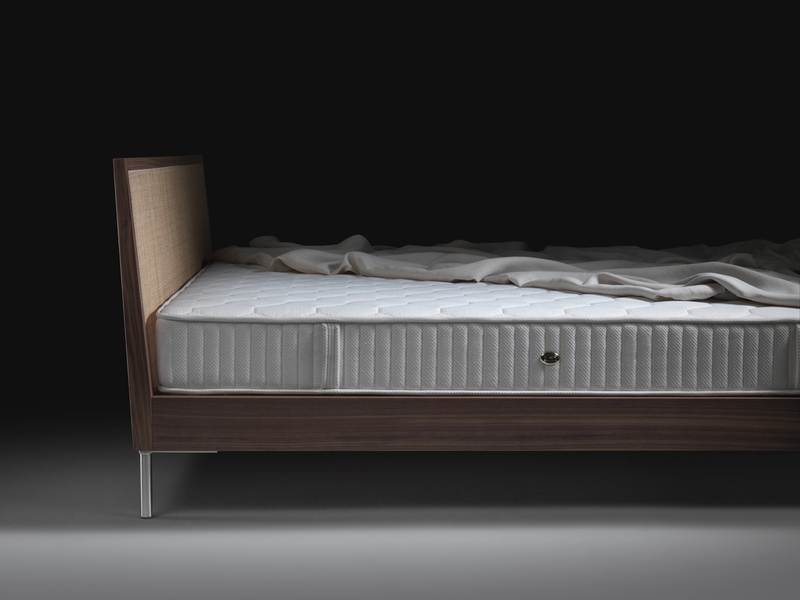 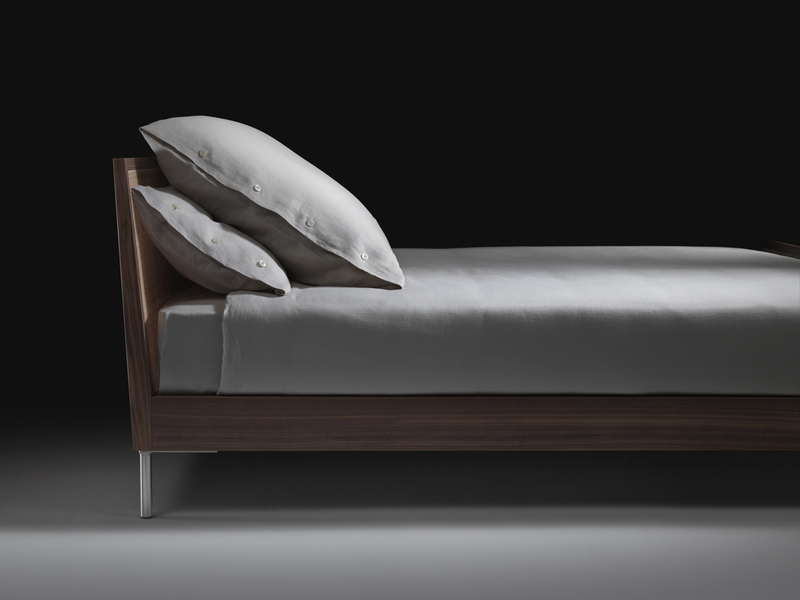 PIANO is a bed with an absolutely modern style, reassuring but with exceptionally clean lines. 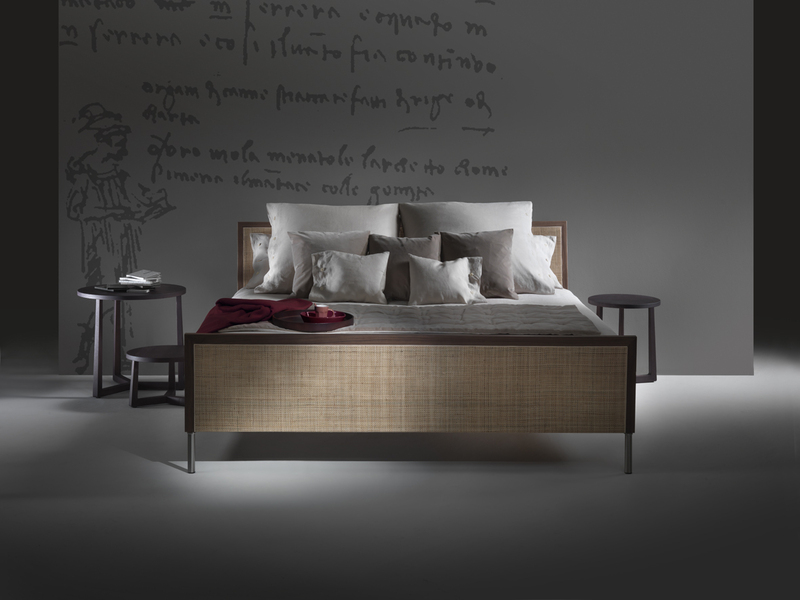 The wooden structure runs along the perimeter, while the headboard and footboard are finished in wicker. 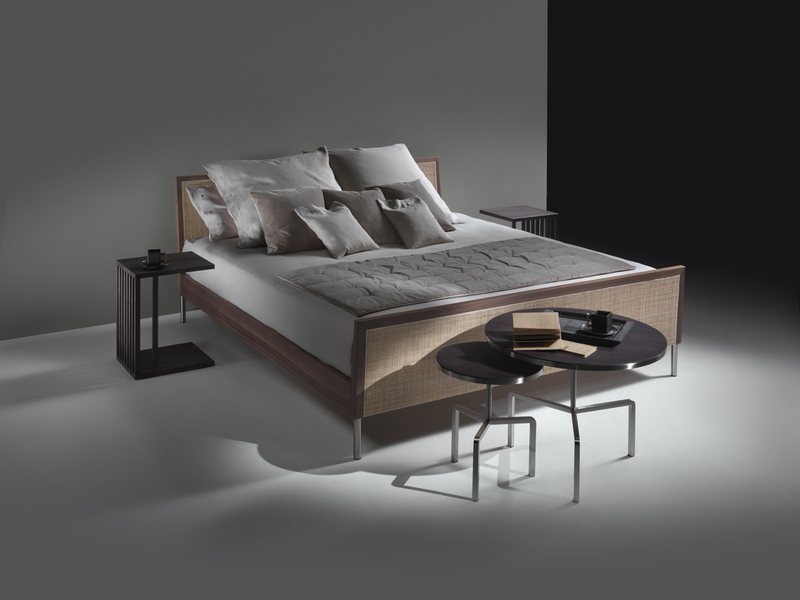 Tubular metal legs raise the bed off the floor. 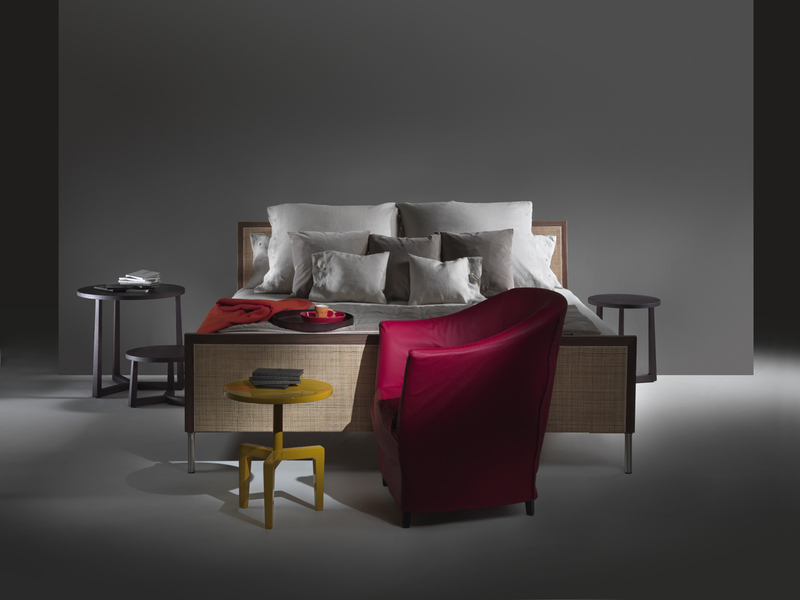 A succinct, essential, extremely sophisticated design, with overtones of the Modern Movement and its timeless creations. 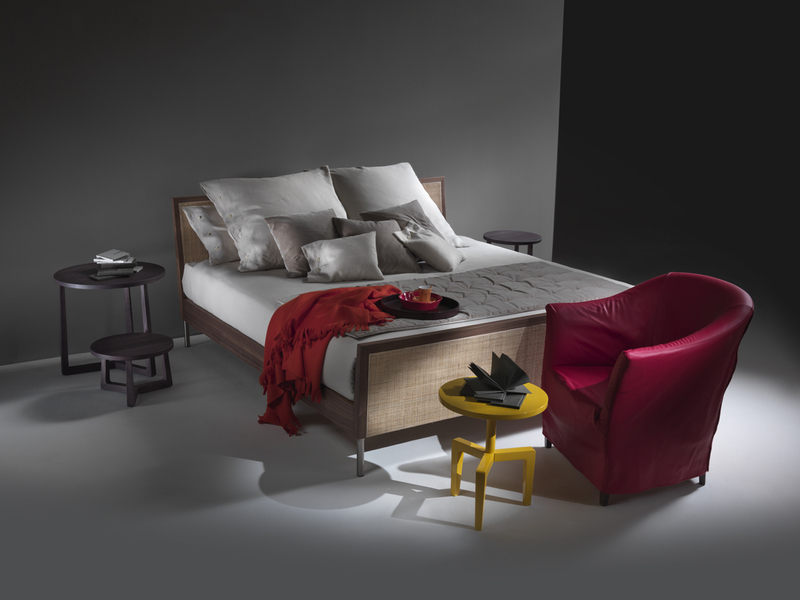 The bed is completed by a bedside unit with a geometric wood frame and an angled metal shelf that becomes a handy magazine rack.